History lovers are being invited to visit the cathedral city of Lichfield this month for a weekend of rich heritage. The city is throwing open its doors during Saturday 19 and Sunday 20 September for the Lichfield Heritage Weekend which is set to delight history buffs of all ages. The theme of the event is 'Making History', with activities celebrating Lichfield's creative past and present. Throughout the course of the two days, heritage venues will throw open their doors for free including St John's Hospital, the Samuel Johnson Birthplace Museum, the church of St Mary's in the Market Square, Lichfield Cathedral, and Erasmus Darwin House. 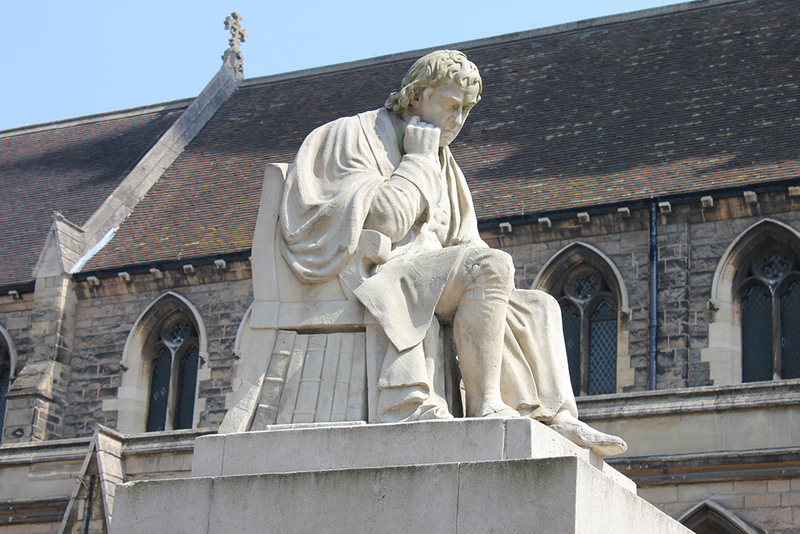 The heritage weekend coincides with the 306th birthday of Samuel Johnson, one of the greatest literary figures of the 18th century, who most famously compiled A Dictionary of the English Language. 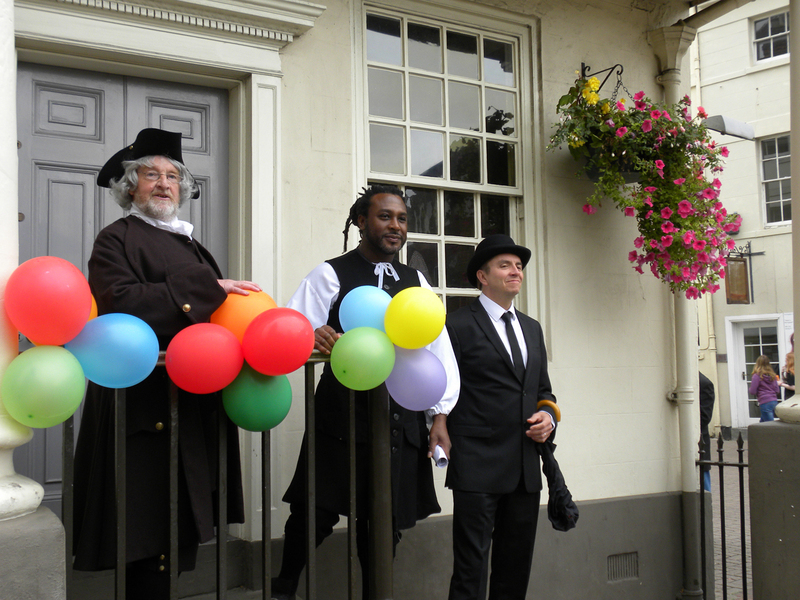 Birthday celebrations commemorating Dr Johnson, who was born in Lichfield in 1709, will take place in Lichfield's main Market Square on Saturday at 12 noon with a wreath placed on his statue and birthday cake given away (while stocks last). Meanwhile the Samuel Johnson Birthplace Museum will also be offering hands-on activities such as bookbinding, trails and displays. Market Square will also be the venue for other free activities and entertainment on Saturday including face painting and trails, a craft tent where children can make their own mini well dressing, a performance by Intimate Theatre, a mini Town Crier competition and music from the City of Lichfield Concert Band. And, within St Mary's itself, costumed historical characters will give talks with the aid of hands-on artefacts, while children will be able to take part in a craft activity using quill pens. The historic church is also hosting the fascinating 200 Years of the Lichfield Mercury exhibition as well as a collection of Lichfield Waterworks Trust's photographs and posters. Lichfield Cathedral will be open over the heritage weekend, although visitors are asked to note that there will be some re-wiring works taking place. Just yards from the cathedral is historic Erasmus Darwin House, the previous home of scientist, doctor, scientist and botanist Dr Erasmus Darwin, who was also the grandfather of Charles Darwin. The house will be hosting children's activities for £1 each, including making a flying bird, designing a racing carriage and following the Lunar Inventor's trail. The grade II listed Cruck House opens its doors in Stowe Street from 11am to 3pm on Saturday when Friends2Friends, an organisation which supports adults with learning difficulties, will join history and drama groups in telling the tale of the Tudor building over the years. Saturday will also see activities running at Lichfield Library and the Record Office, and the 17th century Dr Milley's Hospital on Beacon Street will open for tours between 10am and 4pm. A number of guided tours are also being offered on Saturday. The Routes and Roots of Lichfield, which sets off at 11am, will give people an insight into the origins of the city, while the Boobies and Blockheads tour at 2pm offers an insight into Lichfield's most famous son, Samuel Johnson. Lichfield Waterway Trust is offering a series of Saturday walks at 10.30am from Speakers' Corner, 12.30pm from St Mary's in the Market Square, and at 2.30pm at the Beacon Street/Anson Avenue junction. All three walks are free and do not need to be booked. On Sunday, people are invited to visit Beacon Park to find out about Martyrs' Plaque, the city's historic seal, and to create their own family seal and turn their paper designs into clay plaques. A full programme is available from Tourist Information at St Mary's in the Market Square and from heritage venues across the city. For more information, please visit www.visitlichfield.co.uk/heritageweekend or contact 01543 256611 or email info@visitlichfield.com.